24karat gold vermeil drop earrings by Herve Van Der Straeten. 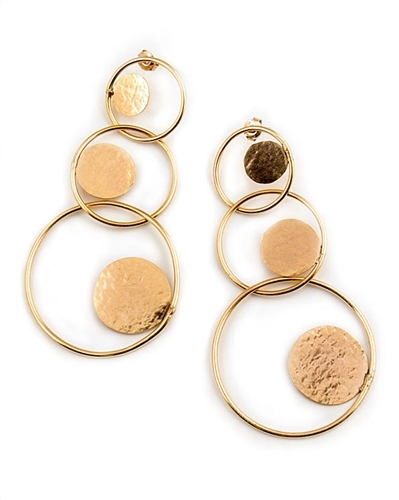 Three intertwined circles create this unique pair of gold earrings. Herve Van Der Straeten earrings are for pierced ears with a post back. A unique pair of earrings that also make a perfect gift. Length: 8.5cm / 3" 3/4.